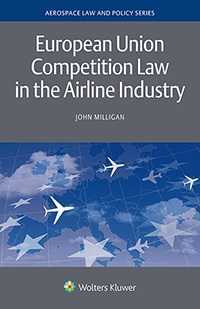 European Union Competition Law in the Airline Industry provides an overview of competition law in the aviation sector. 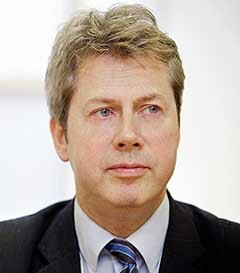 Since the liberalisation of air transport in the EU in the late 1980s, with the application of competition law to agreements and practices within the EU, and between EU and non-EU airlines, particularly from 2004, competition has intensified. The industry has evolved, with the emergence of low-cost carriers, greater consolidation between full service carriers through mergers and alliances, and most recently, convergence of business models as airlines respond to competitive pressures. The enforcement of competition law has also increased within the EU – at EU and EU Member State level – and internationally. In light of this, the book offers a blend of practical advice and legal input, useful for practitioners and academics, and all others who are involved with this interesting and multifaceted subject. State subsidies by non-EU countries to airlines. The author also gives an overview of the liberalisation process, the European Common Aviation Area, agreements with non-EU countries, latest developments (including Brexit), and ongoing trends. This practical and thoroughly researched book, minimising the need for cross-referencing, is currently the only comprehensive study of European competition law from the perspective of the airline industry. As a practical guide to the application of competition law in relation to drafting commercial agreements, planning and structuring mergers and alliances, assessing existing agreements, or handling claims or disputes among airlines or airports, legal practitioners in the transport field will find this book to be of inestimable value, as will business persons at airlines and airports. Thus, this book is indispensable for regulators, academics, and university libraries.